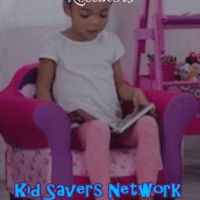 A kids recliner is a great idea if you’re creating a reading corner or want your child to relax in comfort. As you’d expect, finding the best recliner for toddlers and pre-school children is much harder than for an adult. There’s a lot more things to consider. 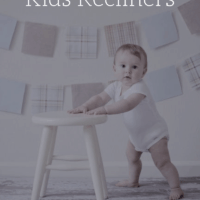 What Makes the Best Kids Recliner? Kids Recliner or Toddler Recliner? 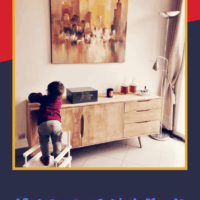 It’s vitally important that any item of children furniture be safe and non-toxic. This also means that the chair you buy is stable and won’t tip over when your child moves around in it. use them on their own and need some parental supervision. You also need to ensure there’s no spring action that can trap little fingers, too. As all parents know, kids (and parents with their hands full!) are always in danger of spilling something or other. A toddler recliner with a cup holder (as pictured) is a good feature to have. Most of the better-rated ones have these. Lastly, whatever you buy needs to be easy to clean. Pay special to the material used. 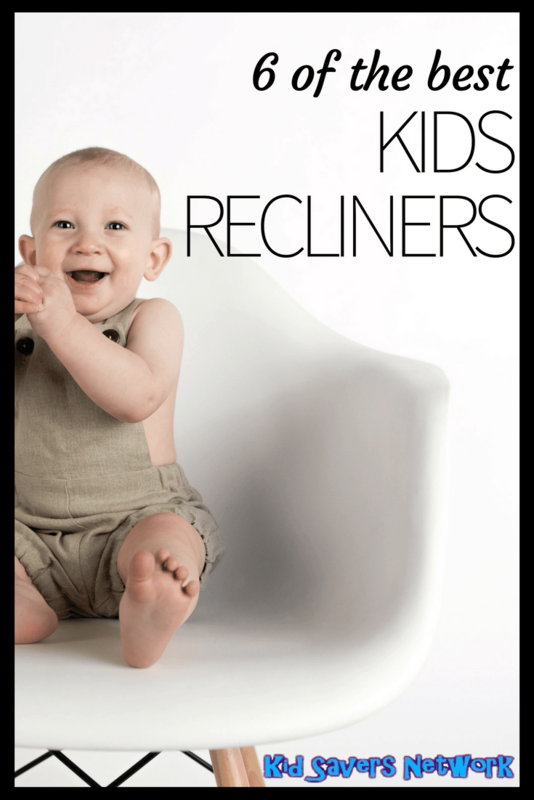 The best kids recliners should be able to be wiped down without any fuss. Always read the reviews to make sure this is the case. 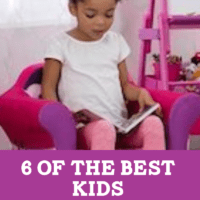 To help, we have reviewed 6 of the best kids recliners for 2018. When we researched kids recliners we found something most strange. Many manufacturers would give a weight limit (e.g “90 lbs”) or a suggested age such as 3 – 7 years old. The reality is that practically all of their products are on the small size! The reason for this is the length of the back of the chair. It’s all very well being able to take 200 lbs, but kids grow all too quickly. Once they are taller than the back of the chair their head becomes unsupported. The width of the chair is also an issue too as older kids will feel too cramped in many advertised “Kids Recliners”. So if you’re looking for a toddler or pre-school child, the ones on this page are ideal. If you’re searching for an older child you might have to try a smaller adult recliner. Sadly there’s a real gap in the market for that age group (7+). The Disney Princess Kid’s Recliner is a beautifully crafted chair for kids 3 – 7 years old. It has both the look and feel of real adult furniture. Your little Princess will feel like a grown Queen sitting in this wonderful mini-throne. This child recliner is manufactured to the same strict quality standards as grown-up furniture. The steel-framed reclining mechanism is both smooth-operating and incredibly durable. The hardwood frame means you can expect it to last as long as any high-quality full-size recliner. This recliner’s filling is made of advanced polyesters that are extremely soft. An overstuffed backrest and soft upholstery make the recliner really comfortable. There’s a plastic cupholder built into the armrest, too. It also can be cleaned repeatedly without staining or fading. One complaint parents do have is the reclining mechanism can be too hard for toddlers to operate. In some ways, this is good because it avoids any safety issues. We all know how toddlers get when they want to do something quickly, or they’re tired! This design is recommended for kids aged 3 – 7. However, parents find the best time to use this is for the 1 – 5 age group. The chair itself is upholstered in micro-suede. This gives it a plush, soft feel but also makes it easy to wipe down with some soap and water. There is a cup holder too, so you needn’t worry if any milk or juice gets spilled over the chair (spoiler: it will!). Many parents say that this chair is hard for their younger child to recline by themselves. You need to pull out the footrest to make it recline. There is no handle or button, but they don’t mind helping because they can be sure no injuries will occur. It’s interesting to note that the colorful, eye-catching designs are much harder to clean than this chair. And will a bright, purple and yellow chair fit with your living room decor? This particular Kids World recliner should blend in with your living room decor much easier! And finally, it’s great to see that this recliner was made in the U.S.A. You can check the latest price here. This flash furniture kids recliner is incredibly strong and sturdy. There is no age guidance but it will take kids up to 90lbs! The length of the headrest means your child will still get good support up to around 5 or 6 years old (depending on their height). It is close enough to the ground that younger children have no trouble climbing on. Indeed, parents have reported using it for 1-year-olds with no problems. The low height also means you needn’t worry about younger children hurting themselves if they fall off. This padded chair is very soft with an overstuffed backrest and supple microfiber upholstery. It also has storage areas in the armrests that kids love. The recliner does come in a box with some assembly required. Parents have said the chair is typically assembled within five minutes. Flash Furniture have this model available in 6 different colors – avocado, brown, blue, orange, purple, and red. Considering the level of comfort and quality, this is available for a great price. Some comparable recliners go for around double the listed price. On the downside, some parents have found the chair’s fabric difficult to clean. But overall this is a well-made kids recliner that is built to last. Here’s another option from Flash Furniture that has caught our eye. As you can see, it closely resembles a seat you’d expect to find in Business-Class. Given how much research goes into those things this is not necessarily a bad thing! To recline the chair, your child needs to lean back in it. If they’re not heavy enough they can bring out the footrest and it will recline. Unfortunately, there is no button or handle to help with this. 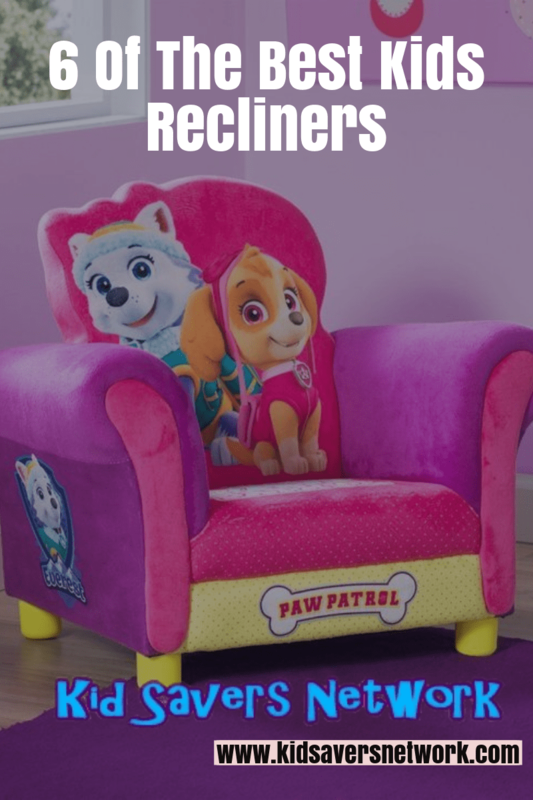 The age limit for this kids recliner is around 0 – 5 years old. In common with similar products, after 5 years old the 18″ back of the chair might be too small. The Flash Furniture design we reviewed above was the “microfiber” version. The upholstery on this one is made of leather so you can simply wipe it down to clean it. You won’t lose any comfort either as the chair is well padded. There’s also an oversized headrest with a removable cover that can easily be cleaned. The arms fold out so you can store your child’s favorite toys and munchies inside. Unfortunately, there are no cup holders. If you’re looking for a luxurious looking recliner that’s easier to clean than the cartoon themed varieties, check this one out! This is a really expensive looking child recliner that’s available at a really great price! It’s also great to find a girls recliner in hot pink (and it’s also available in black, too!). HomCom make the very bold claim that this seat will hold up to 330lbs! So they must have a lot of faith in how sturdy it is. Unfortunately, after some research, this does not mean older kids / adults can sit too comfortable in it. Whilst it’s perfectly wide enough for younger children, children 8 and up will probably feel a bit cramped. Still, many parents are saying they have sat in it and it feels sturdy and stable. When you’re considering these chairs, you have to consider ease-of-cleaning. This is especially true whenever a toddler is involved! The good news is the PU Leather material is super-easy to wipe down with a damp cloth. The chair also has 4 legs to keep it off the ground. They’re just high enough so you can clean under them, but not too high that a toddler can’t climb on. The legs are also non-slip and as this is a wide recliner there’s no danger of it tipping over. As with many similar kids recliners, you need to pull out the footrest to make it recline. There are no springs involved and the action is slow and gentle. This will prevent your child being hurt when they are old enough to recline by themselves. All in all, this is a very regal looking piece of children’s furniture. At this low price, it could well be the best kids recliner for the money. More a “Lounge Chair” than a recliner, the Delta Childrens kids chair is perfect for a toddler. Although the manufacturer guidelines do say “3 – 7 years”, this kids chair is on the small side. It measures just 23.75″ L x 18.75″ W x 18.5″H. To put this into perspective, parents have been using it with their one-year olds! So if you’re looking for something for an older child (say 5 or 6) then this probably isn’t it. If you do have a toddler, they’ll love the 4 great designs on offer. There are Cars / Mcqueen (my toddler’s favorite), Mickey & Minnie Mouse and a fairy-tale princess. This pretty much covers all the toddler bases. Well, apart from robots! The chair itself is built with a durable hardwood frame and upholstered with a soft synthetic fiber. It’s small enough to fit in a bedroom or a playhouse. Something else you need to know that is the soft, porous material makes this chair difficult to clean. Parents have had success using Lysol wipes. This comfortable chair’s bright, familiar designs are sure to sweep any toddler off their feet. You can find the prices here.